Challenge yourself with the W Trek, one of the world's great hikes. A mind-blowing run of twisted volcanic peaks, tumbling glaciers and aquamarine lakes, it zigzags across the Cordillera del Paine like a giant "W" shape. 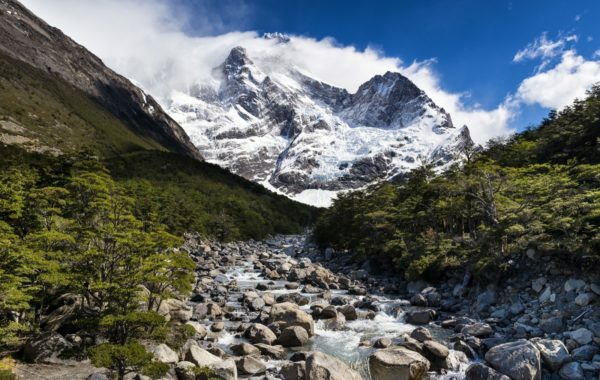 This short version of the W trek follows trails that circle vast glaciers, lakes, forests and the mighty Torres del Paine towers themselves, providing constant delight to your trekking-hungry soul! This is a five day version of the W Trek. A seven day route is also available, as is the nine day El Circuito trek, also in Torres del Paine National Park. A Chimu Adventures travel adviser will be happy to help you find the right trek for you – get in touch now for more information. 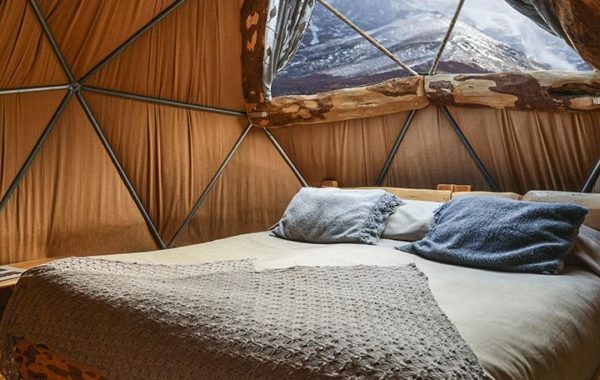 Settling into your personal dome you'll make yourself at home in this unique place, explore the spectacular scenery and get to know your fellow trekkers. 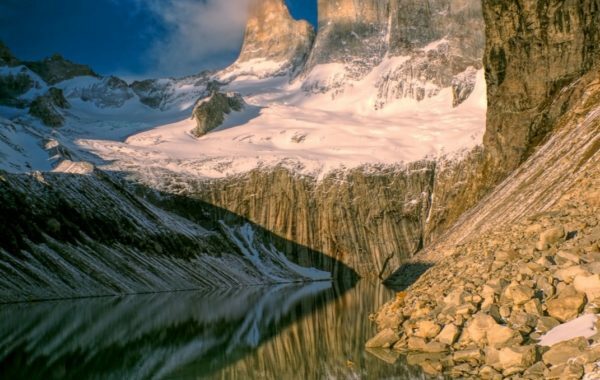 That evening you'll be briefed for the trek ahead over dinner, learning more about Torres del Paine National Park and what adventures are in store for the following days. 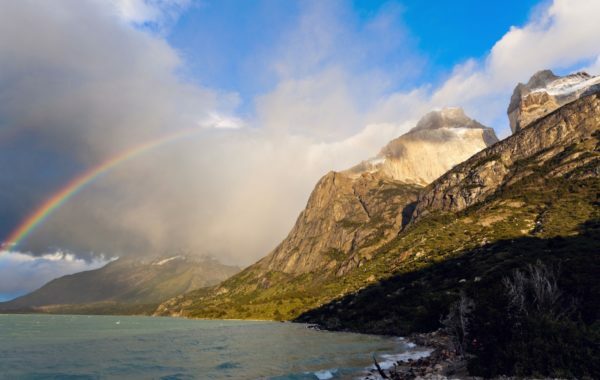 After breakfast, you'll drive through Torres del Paine National Park towards Pudeto Dock on the shores of Pehoé Lake. Here you'll board the catamaran that takes you to the north western area of the lake from where you begin the trek to Valle Frances (French Valley). This is a steep hike that comprises the middle point in the "W". The French Valley is considered to be one of the most beautiful places in the park and indeed the world. The high altitude valley is ringed by a curtain of almost vertical rock which creates an amphitheatre of granite walls and spires. It is famous for its 360 degree panoramic views of Los Cuernos, the French Glacier and Lago Nordenskjold. You'll eventually reach Refugio Paine Grande where you'll enjoy an evening meal and settle in for the night. Today you’ll hike from Refugio Paine Grande along the shores of mountain-lined Lake Pehoé to the northern end of glacial Lake Grey. Enjoy a picnic lunch before boarding the boat to sail to the blue face of Glacier Grey. 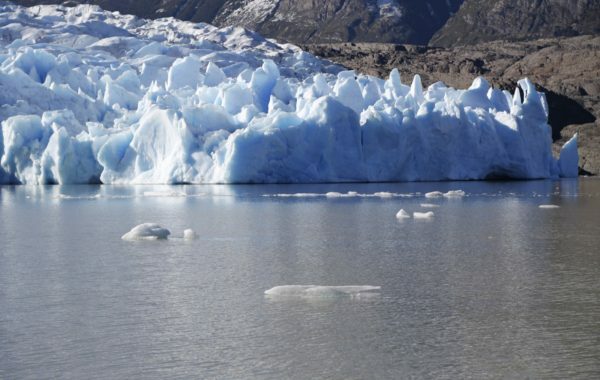 There is plenty of time to marvel at this calving glacier before the boat continues across Lake Grey weaving its way through the floating pieces of ice. Once on shore make your way back to EcoCamp. If the weather conditions prevent the navigation of Lake Grey, a hike to Glacier Grey will take place instead. Then at Pudeto board the catamaran to cross Lake Pehoé and journey back to the comfort of EcoCamp. After breakfast, begin your mission to complete the most famous trekking trail in Torres del Paine National Park. You'll walk from EcoCamp towards Hostería Las Torres before joining with the undulating uphill path that takes you to the scenic Ascencio Valley. From here, follow a steep trail until the magnificent Towers come into full view, rising majestically before you with the glacial lake visible below. This is one of the most breathtaking sights of the world! Here you have a relaxing lunch before returning along the same trail to the EcoCamp. After breakfast you'll depart from EcoCamp and be driven back to Punta Arenas or Calafate for your onward journey. You can extend this trip to include any other destination in Patagonia or beyond – get in touch with a Chimu Adventures advisor now who will be happy to help. 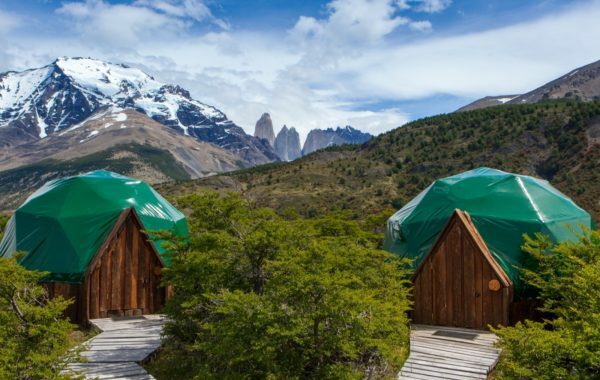 Three nights accommodation in EcoCamp standard domes and one night at Refugio Paine Grande. Professional, multi-lingual trek leader, plus support. All meals at EcoCamp and during the trek. All ground and boat transport as indicated in the itinerary.